Initially, basic financial instruments were traded in the market for simple purposes. For example, stocks were issued by companies to raise capital in order to fuel their business operations, bonds were issued by the governments, and the bondholders used to receive interest on these financial instruments. However, with the growing complexity in the financial market, a large number of financial instruments have been introduced in order to aid the investors. These financial instruments include, but are not limited to, forward contracts, future, swap, options, certificate of deposits, exchange-traded funds or ETFs, mutual funds, held-to-maturity securities, interest rate futures, bond futures, etc. Not only have these securities enabled investors to invest in a smarter way, but they have also allowed investors to make huge profits by tackling the rapidly changing market trends. Therefore, the purpose of these securities is to facilitate investment decisions by keeping an individual from losing a substantial amount of his money. Available-for-sale securities and trading securities are two examples of such instruments. 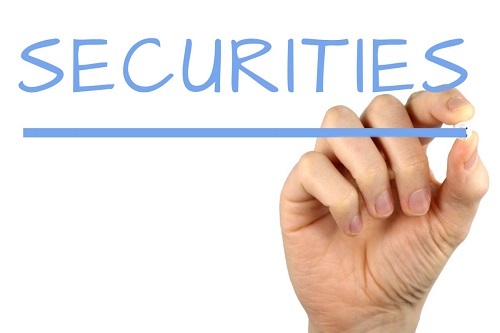 These securities are basically classified as trading or held-for-sale when they are bought. The purpose of buying available-for-sale securities is to hold them for an indefinite period or to manage exposure of the interest rate, liquidity requirements, and prepayment risk. On the other hand, trading securities are bought for the purpose of profit maximization through resale or market appreciation. To better understand the difference between the two, it is important to understand the features of these securities in detail. AFS are an example of an equity or debt instrument that is bought with the intention to resale before it reaches the maturity date, if it has one. AFS are not strategic in nature because they are not held for the purpose of trading, nor do they fall in the category of held-for-maturity. Moreover, they are readily available in the market at a market price. Trading securities, on the other hand, are the financial instruments that are held with the intention to buy and sell in a short period of time, i.e., less than a period of twelve months. These are usually held by financial institutions for the purpose of buying and selling in the short term. Available-for Sale-Securities—As already mentioned, AFS do not have a maturity date, and they are usually held for a longer period of time than trading securities. Trading Securities—These securities are kept for a shorter period of time because the management actively buy or sell them to make short-term gains for these investments. They are generally held for a period of a few hours or days, but it depends on the nature of the security and the market where it is traded. Trading Securities—These securities are usually purchased with the intention to make profits in the short term. This is why they are not held for a longer period of time. Available-for-Sale—These financial instruments are not actively managed with the intention to sell to make short-term profits. Instead, these securities are held and set by the companies at some point. Unlike trading securities, AFS are not purchased or sold actively as trading securities, nor are they held for an indefinite period of time to keep receiving returns on their investments. Instead, these instruments are readily sold in a market by the management.. In short, these are securities that might be retained for a longer period, but may also be sold as per the management’s decision. Available for Sale Securities—Available-for-sale securities are abbreviated as AFS. They are reported in the financial statements at a fair value; wherein, the changes in value in a different accounting period go towards the comprehensive income until the securities are sold. However, when these securities are sold, the unrealized profit or loss in the other comprehensive income (OCI) is reversed, and the realized profit or loss goes to the income statement. The realized amount represents the difference between the selling price and purchase price. For example, if AFS are purchased with a cash amount of $200,000, then the available-for-sale securities account is debited, and cash balance is credited with the same amount. However, if the value of AFS decreases to $100,000 by the next accounting period, the amount of investment will be reduced to fairly reflect the change that occurred in its fair market value. The decrease in value will be recognized in OCI. Similarly, if the value increases in the next accounting period, it should also be recognized in the OCI. AFS does not have to be sold in order for the change in its value to be reported in the other comprehensive income. This is the reason why they are known as ‘unrealized’ profits or losses until these financial instruments are sold. Trading Securities—Trading securities are also reported in the financial statement at a fair value, but they are initially recognized in a financial statement at original cost. With the passage of time, the market value of these securities changes, and, by the end of one accounting period, if it is not sold, its fair value is compared with the original purchase cost to calculate any unrealized loss or gain. The fair value of trading security at the end of each accounting period is afterwards compared to the fair value at the end of the next accounting period along with any profit or loss recognized as income or expense during that period. For example, if a trading security has a fair value of $1,500 in the last reporting period, and, as the current period ends, its value in the market reaches $1,800. The fair value adjustment will have to be accounted for by debiting $300 to a fair value adjustment account of securities, and by adding the remaining $1,500 in the trading securities account to reach a total fair value of $1,800 at the end of the period. Available for Sale—The changes that occurred in the value of AFS are subsequently recognized in an account called unrealized gain or losses in the OCI. This account is basically found in the shareholder’s equity; hence, no amount is recorded in the income statement. Trading Account—Unlike available-for-sale securities, trading securities are subsequently recognized as operating income in the income statement. It is very important for an accountant to be familiar with the differences of these securities because it enables them to record them in the right period with a correct amount instead of undervaluing or over-valuing the above stated accounts. Similarly, investors should also know the difference between AFS and trading securities in order to see if these investments are in line with their financial goals. For example, if the intention of an investor is to sell securities for making a profit in the short term, then he or she should go for trading securities. Hira Waqar. "The Difference between Available-for-Sale and Trading Securities." DifferenceBetween.net. February 9, 2017 < http://www.differencebetween.net/business/the-difference-between-available-for-sale-and-trading-securities/ >.